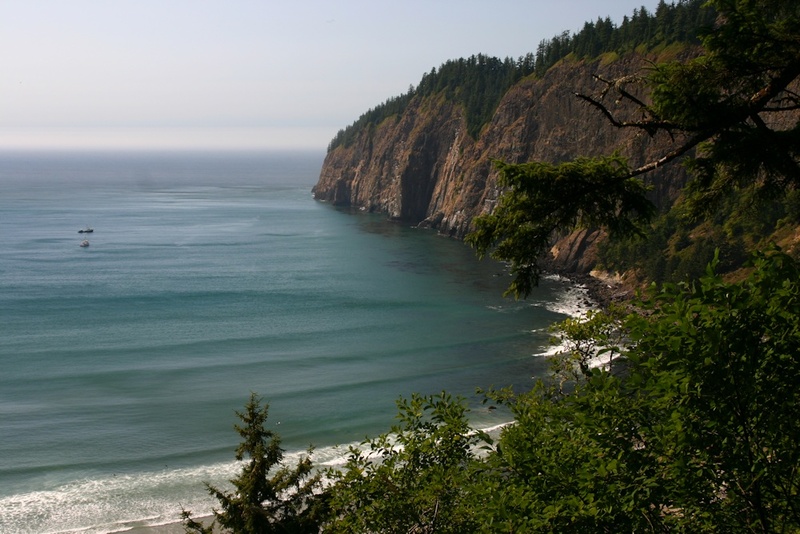 Cape Lookout can be reached by taking Hwy 131 out of Tillamook. You can also reach it by a considerably longer route by taking the right turn at the Three Capes Loop sign. The main park entrance leads you to a long beach bound by a cliff on the north. To the south, you are afforded a several mile walk along the "spit" that borders Netarts Bay. The main park has camping areas, yurts, and cabins. 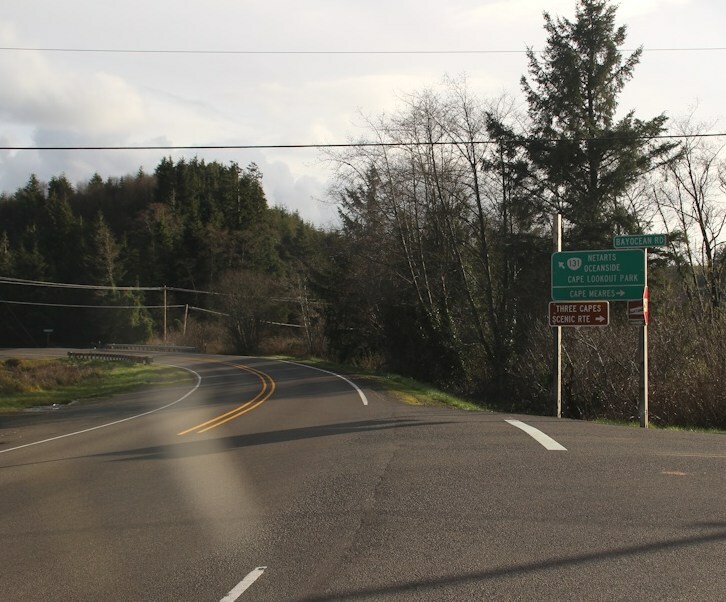 If you drive by the main park entrance, in about a mile you will come to the trailhead entrance. This leads to several trails. 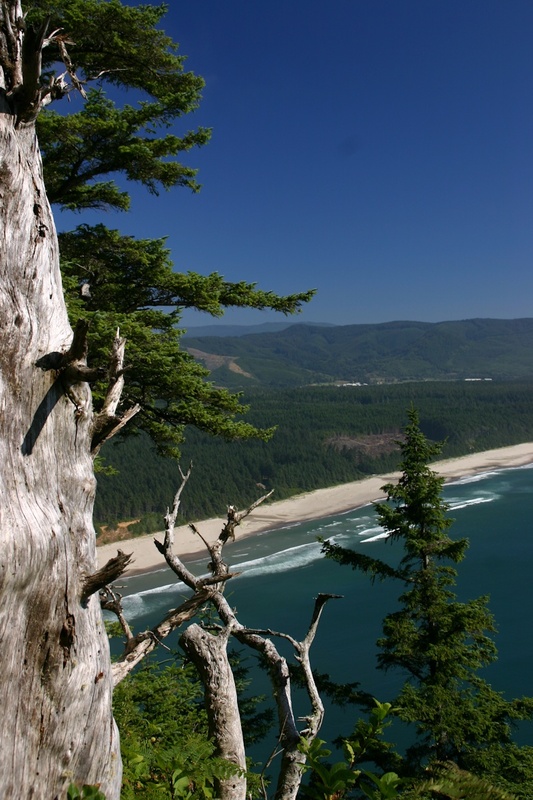 The South trail is a loop high above the surrounding ocean, with many excellent views. Another trail (a left turn about 100 ft into the South Trail) leads to a "vertical" descent down to another beach. 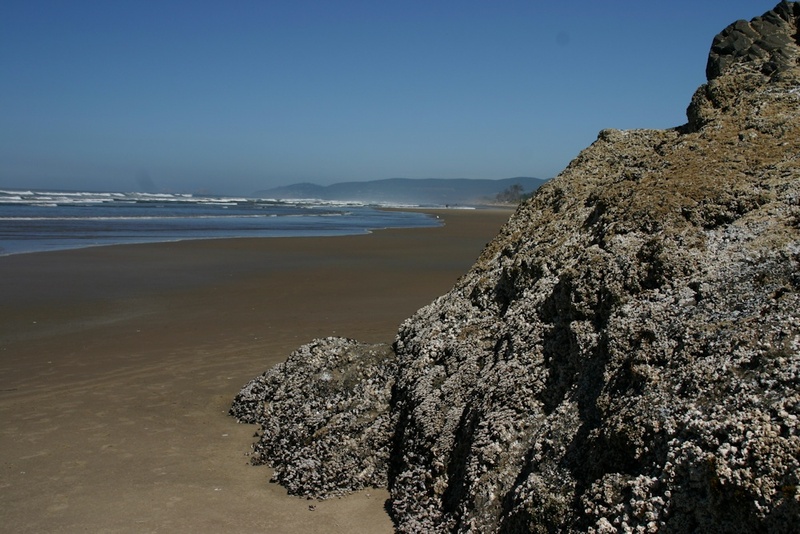 This is a view looking North from the beach that is accessible at the main park. This is one of the fine views that are available from the South Trail. View from the South Trail. If you take the trail leading down (and we mean DOWN!) to the beach, here's one of the views.